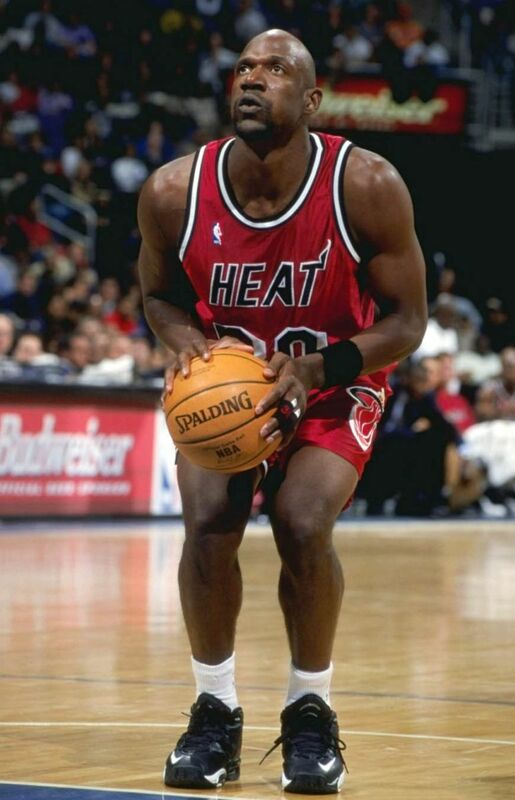 Continuing this week's look at the shoes worn with each of the current NBA Hardwood Classics uniforms when they first appeared on the court, we Flashback to the 1990's Miami Heat teams in their red road alternates. 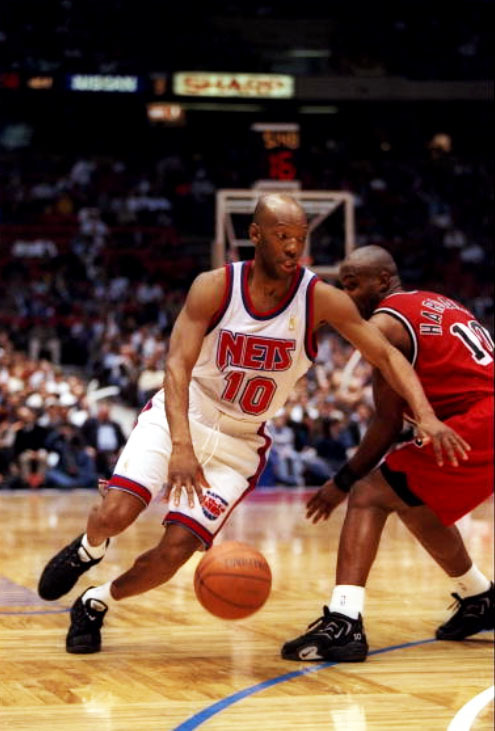 Most of us on the SC team are big NBA nerds, so we are pretty excited about the return of some awesome 1990's looks for this year's crop of Hardwood Classics uniforms by adidas. 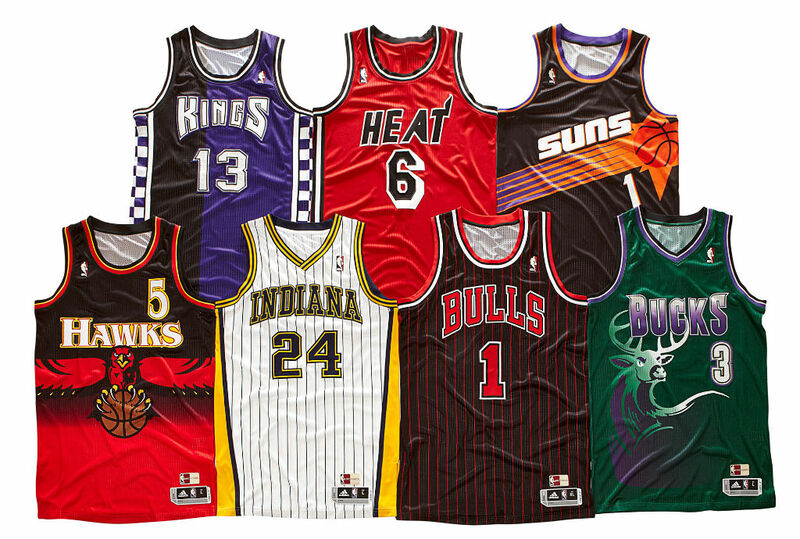 Though recent years have had some pretty cool Hardwood Classics uniforms, this year's selection is especially nice for us, and probably most of you readers as well, because they are more personally nostalgic. 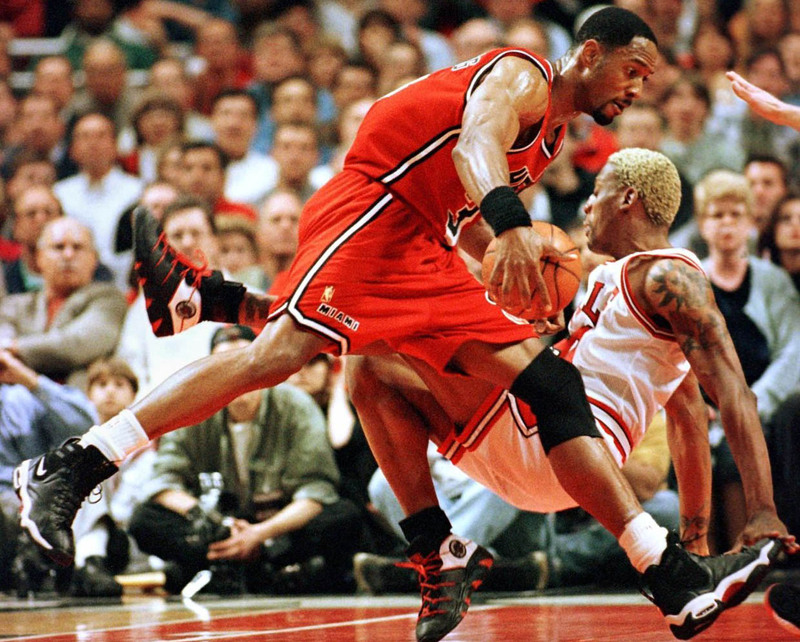 Rather than a group of ABA uniforms from '60's and '70's teams that none of us actually saw play, or say, the 1946-47 Toronto Huskies which we didn't even know existed, this year we get to see uniforms worn by some of our favorite 90's players like Dennis Rodman (Bulls), Glenn Robinson (Bucks), Reggie Miller (Pacers), Kevin Johnson (Suns), and so on. 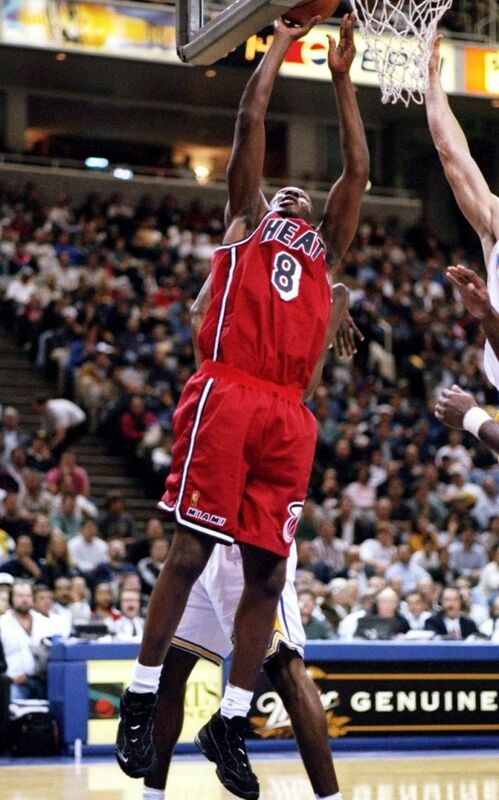 After checking out the Atlanta Hawks yesterday, today we turn our attention to the Miam Heat and their red road alternate uniforms, worn from the 1995-96 to 1998-99 seasons. 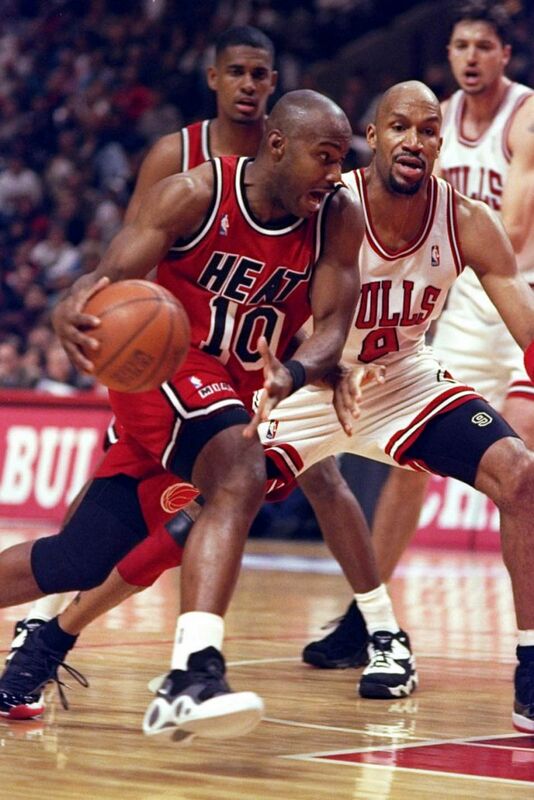 After the Heat franchise had a dismal beginning in the late 1980's and early 90's, the new bright red uniforms, along with newly acquired stars Tim Hardaway and Alonzo Mourning, ushered in a fresh (winning) era in South Beach. 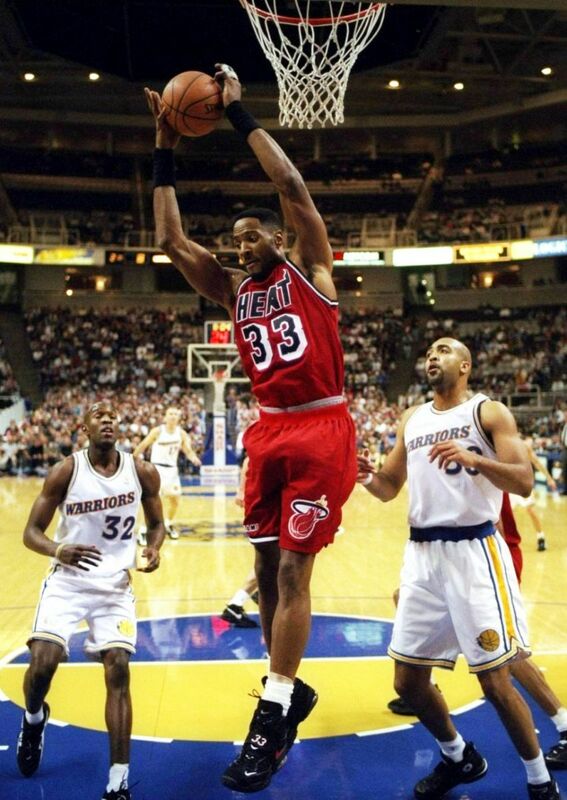 The Heat in their occasionally worn red unis became perennial title-contending teams, dueling against the New York Knicks, Chicago Bulls and Indiana Pacers for the best in the East. 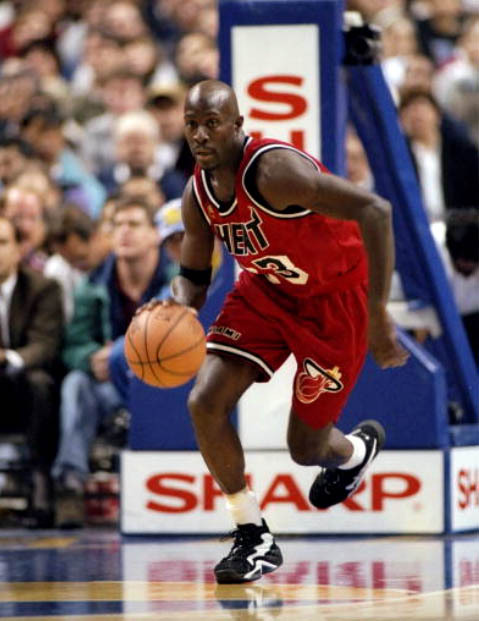 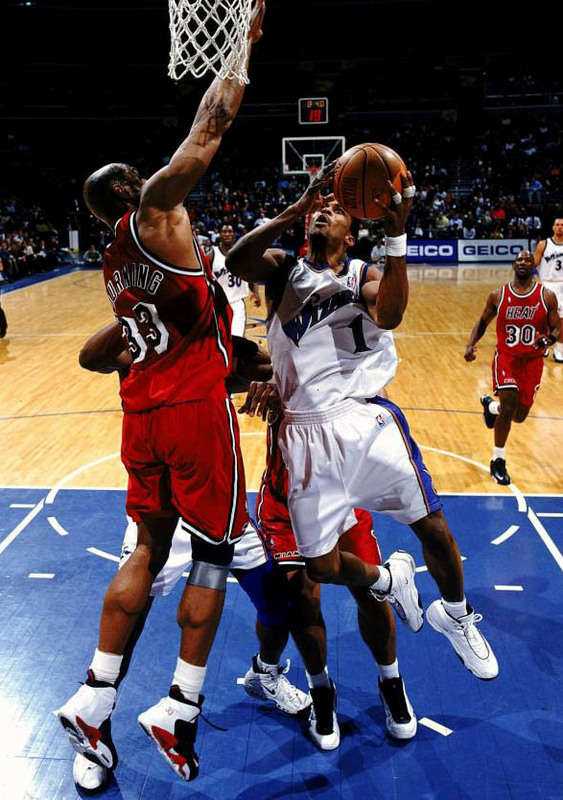 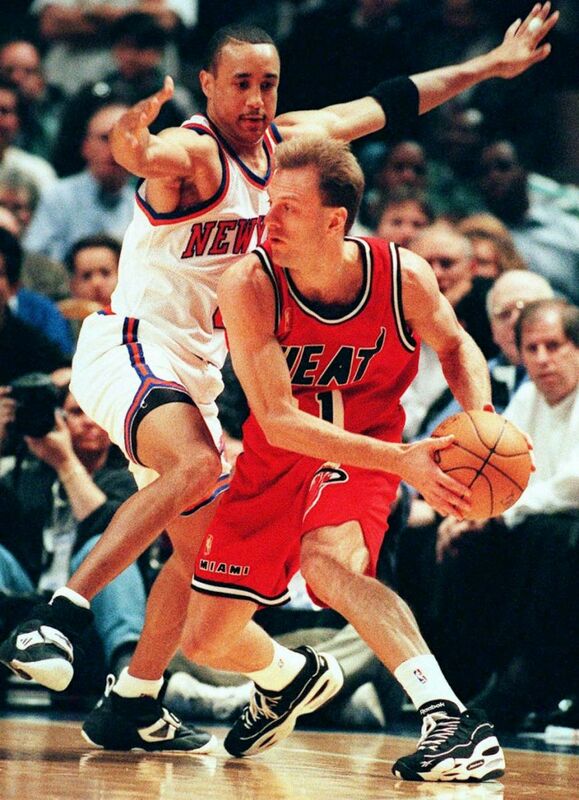 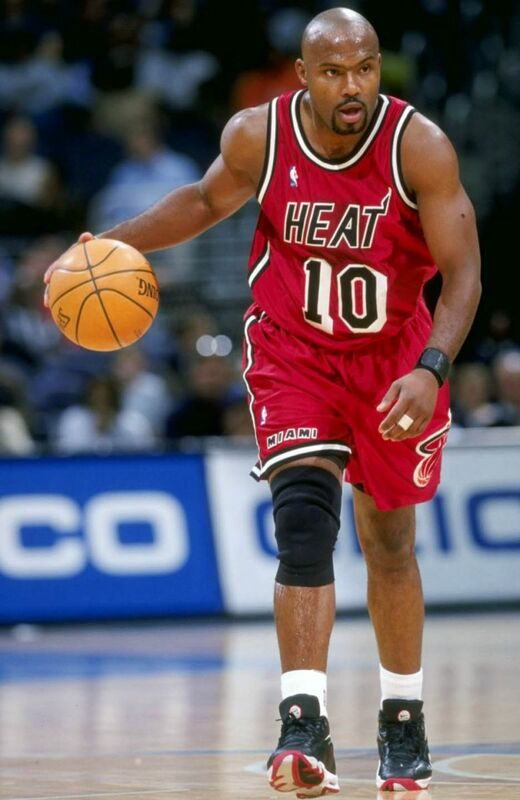 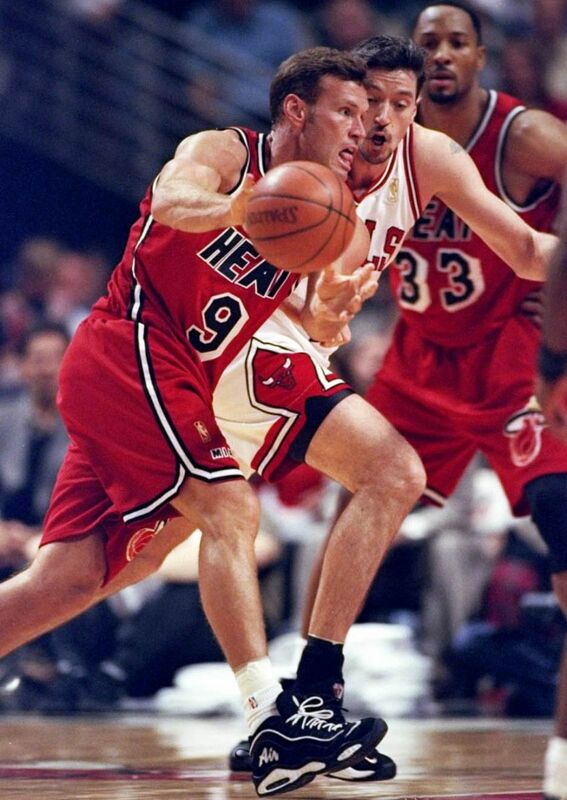 Let's go back to 1995-99 and take a look at some of the best kicks worn with the road alternate red Miami Heat uniforms from players including Hardaway and Mourning, along with Dan Majerle and even an aging Terry Porter. 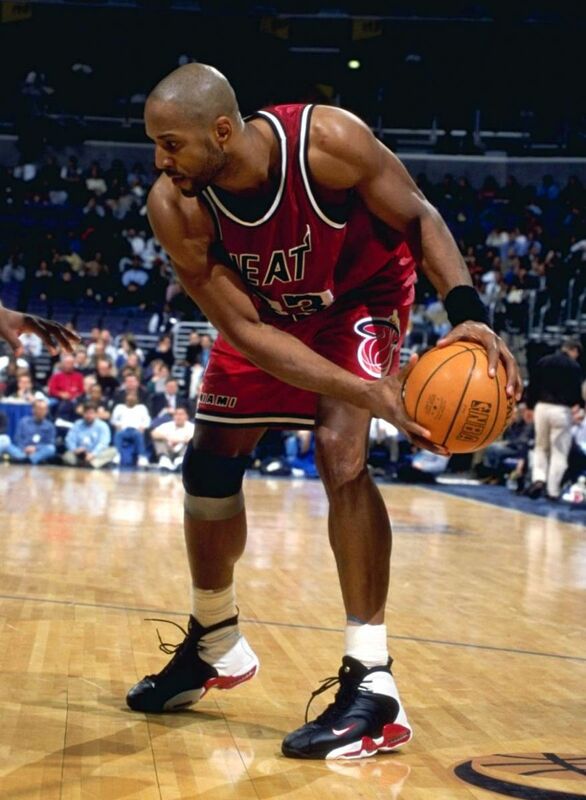 You'll see the Nike Air Bakin', Reebok Ragin' and plenty more. 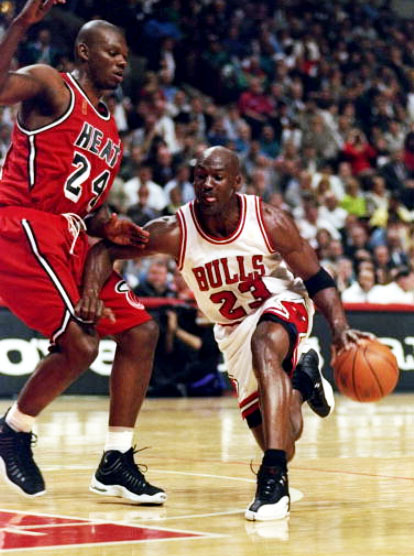 Have a favorite?